Home » Will Tiger Woods win a major in 2014? Will Tiger Woods win a major in 2014? Will Tiger Woods win a major in 2014? A few years ago, that would have almost been a forgone conclusion, but now the jury’s out. And depending on your reading of the game, you could profit from your view. There’s a whole market out there debating this very question and if you think Tiger really is back to his former glories and you think he’ll land at least one major this year, then the odds are with you. Currently with betfair.com, the world’s biggest peer to peer gambling exchange where there are only backers and layers with no bookie involved, the Tiger is odds-on not to win one. But it’s a narrow market. As things stand, you can get a best-priced 6/4 against him winning any of the four majors during the calendar year 2014. Conversely, he’s around 3/5 not to win a major. 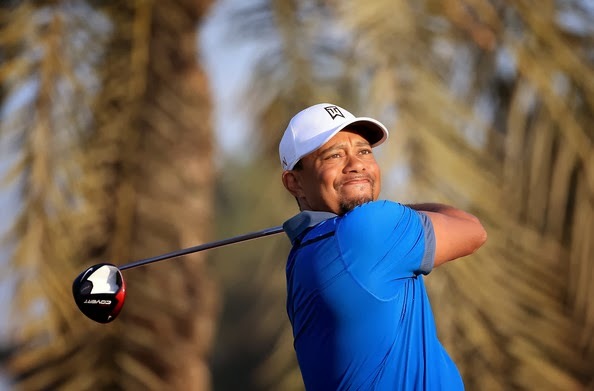 Tiger Woods hasn’t won a major since 2008 and after his much-publicized problems off the course- with a fair few on it as well – he slipped to 50th in the world rankings. But he’s rallied, of course, and has now worked his way back up to the world number two spot, having regained the top-spot for a while. There’s also a bit of a market and a great deal of debate as to whether Tiger can ever equal or surpass Jack Nicklaus’s all-time record of winning 18 majors. Sir Nick Faldo doesn’t think it’s possible for Woods in the modern game; others disagree. But Woods is still only 36, remarkably, which is plenty of time yet to win the five he’d need to outdo the Golden Bear. And if he’s to start making inroads, he’ll surely have to win at least one of four this year. But will he? That’s for you to decide and to place your bets accordingly if you’re feeling lucky or confident enough.